On January 31, 2019, our loving mother and grandmother was reunited in heaven with her dear companion, Earl Shoell Carter. Shirley Arlene Manwill was born December 11,1934 to Elden Lee Manwill and Eva Rowena Schaugaard in Sterling Idaho. She had two sisters and five brothers. Shirley was loved by many and was a wonderful homemaker. She married her sweetheart October 1, 1953. Together they had four beautiful children and they were later sealed for time and all eternity in the Salt Lake City Temple on January 12, 1971. Shirley loved her Heavenly Father and the prophet. 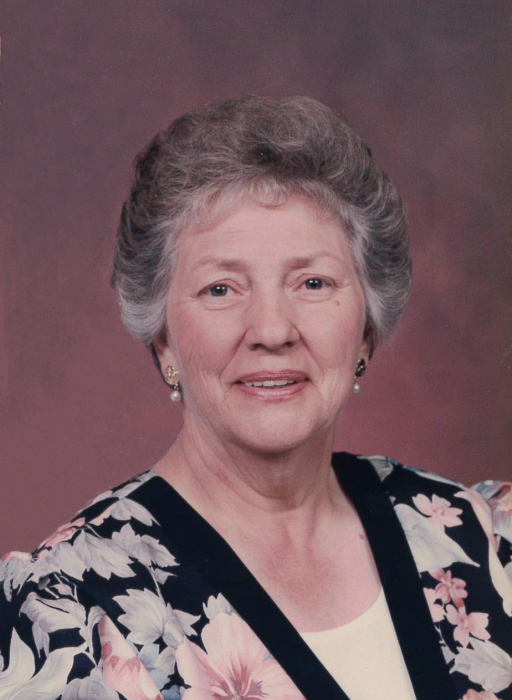 She loved serving in the church and serving her mission with her husband at the Lindon cannery. She was an amazing mother, grandmother, sister and friend. She took anybody and everybody in as her own. She was well known for her cooking and baking. She loved sharing her talents to serve others. She needed to go on dialysis and we were lucky enough to have 11 extra years with her after that began. Most would complain about the struggle that came along with the treatment but she continued with a smile on her face and her great sense of humor. Grandma was definitely pioneer stock. We love you grandma! She was preceded in death by her parents, her husband Earl Carter, brothers Glee Norman, Lowell, Bertrum and Merrill along with her dear sister Juanita and son-in-law Randy Rhoades. She is survived by her sister Wanda Johnson of Orem, daughter Karla Rhoades of Pleasant Grove, son Terry (Nancy) Carter of Pleasant Grove, Brenda (Gary) Carlile of Hurricane and Tonja Carter of Pleasant Grove as well as 15 grandchildren and many great grandchildren. We would like to thank the staff at Davita Dialysis, Grove Ward and April McIntosh for all their help and service. Funeral services will be held Tuesday, February 5, 2019 at 11:00 am in the Pleasant Grove Grove Ward Chapel, 455 East 200 South, Pleasant Grove. Family and friends may attend a viewing Monday evening from 6-8 pm at Olpin Family Mortuary, 494 South 300 East, Pleasant Grove and at the church on Tuesday from 9:30 – 10 :45 am prior to services. Interment will be in the Pleasant Grove City Cemetery. Condolences and complete obituary information is available at www.olpinmortuary.com.